This is the third of Maggee's delicious recipes. She is sharing her kitchen knowledge and tips with us hoping to keep us or make us healthy and happy as we age. Speaking for myself, I can tell you I would do great at this if only someone like Maggee was doing my shopping and cooking for me! Left to my own devices, I can be found munching on junk food and sweets! Tsk...such a bad example I am! 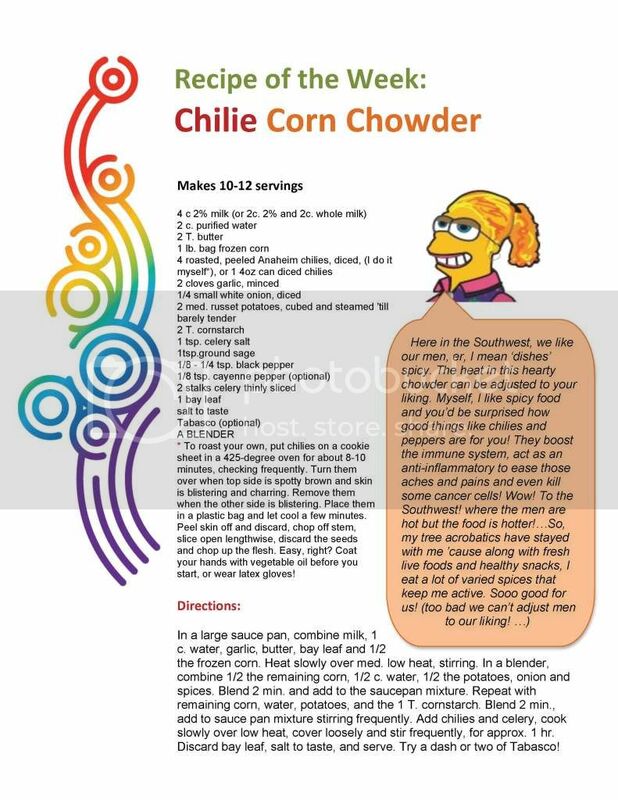 I love chili and corn choweder- but I have never heard of chili corn chowder. I have to make this- it sounds delicious! Thank you so much for sharing! Jess - thanks for taking the time to comment! Let us know how you like it if you decide to make it!